New author H.L. Grey is releasing a new novel, "Heavenly Father," under No Frills Buffalo. This novel, with wry humor and melodrama galore, is a satire of American values. "Dearest and most gracious reader: The following tale will offend pretty much everyone in the world." This mock-Victorian disclaimer is the start of the melodramatic yet wryly humorous romp known as "Heavenly Father: The Saga of the Studebaker Family." It is the first novel of new novelist H.L. Grey; it is also the first of a planned series of five books. 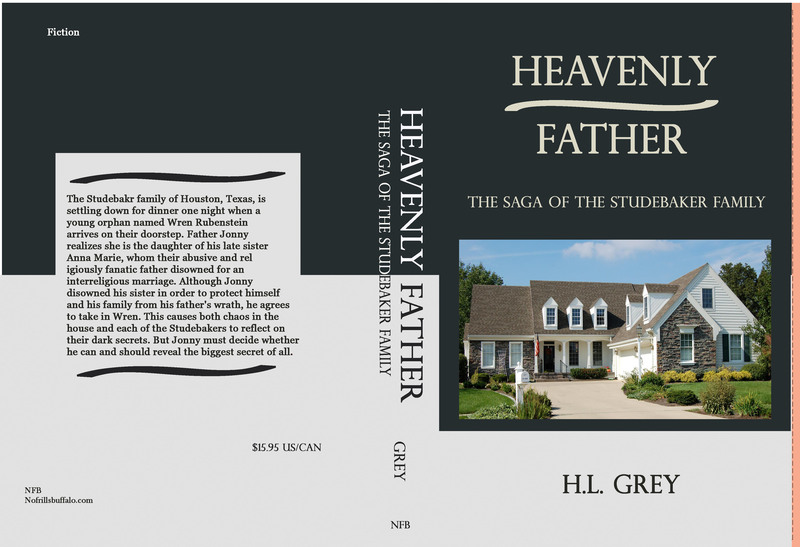 "Heavenly Father" is the tale of the Studebaker family of Houston, Texas. Their seemingly ideal lives are turned upside down when a young orphan named Wren Rubenstein arrives on their doorstep one rainy October night, seeking shelter during hurricane season. Father Jonny realizes that she is the daughter of his late sister Anna Marie, whom their religiously fanatic father disowned for an interreligious marriage. Although Jonny had disowned his sister in order to protect his children and himself from his father’s wrath, he agrees to help Wren. This leads to turmoil in the house and the Studebakers to reflect on their secrets—from mother Gloria’s dissatisfaction in the marriage to older son JV’s addiction to crack cocaine—while Wren struggles to come to terms with her traumatic past. But Jonny must decide if he can reveal the greatest secret of all. Some of the themes include religious hypocrisy and extremism, decaying family values, gender roles, and the dangers of nostalgia. This novel began as Grey's homework assignment for a creative writing class at the University of Buffalo, which she attended from 2010 through 2014. Over the years, it has evolved into a series of five books. Grey wrote some of it during her breaks as she waitressed at a local retirement home after graduating from college. However, life has not been all fun and games for Grey. Although she generally enjoyed waitressing at the retirement home, it did cause an intense depression. Specifically, she was plagued by doubt that her novel would ever sell. "How could something from a small local press achieve anything?" she wondered almost daily. However, with the encouragement of some of the residents--who were shocked by the language in the first 129 pages but overall pleased with the content--she began an intense marketing campaign. She discovered that she is incapable of operating the self-checkout at her local library, though she still attempted to teach herself web design. Eventually, she settled on Wix.com because it was much simpler. 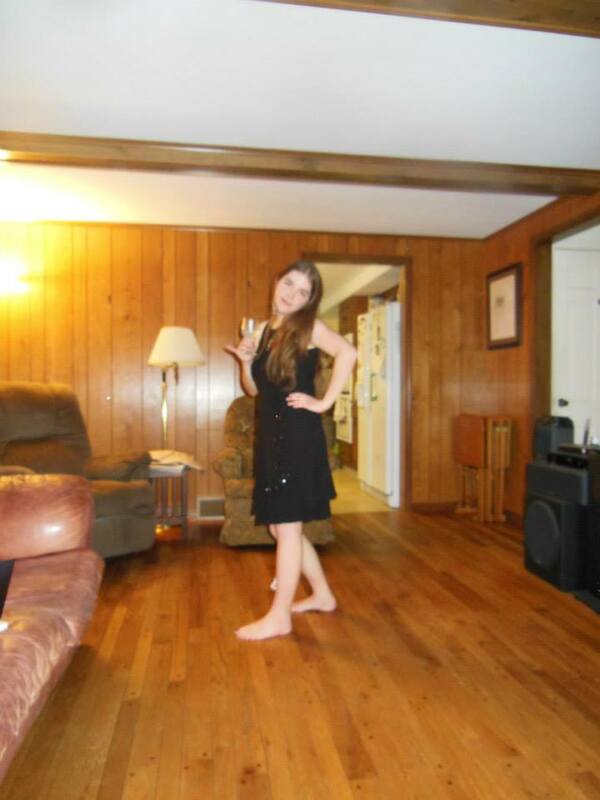 She then began using Tumblr, Twitter, and Facebook to raise awareness for her novel. She learned that "Heavenly Father" had been accepted the night of the home's "senior prom." Regarding her efforts at advertising in local newspapers, Grey stated with a wry shrug that "I'm probably going to bankrupt myself doing this, but hopefully sales will pay me back." "Heavenly Father" is available at nofrillsbuffalo.com, and on Amazon and Kindle.